The swimming community is small – but it’s powerful. Last week, swimming brought together (1) an inventor, (2) a video producer, (3) an actor, and (4) a media outlet. This is another story about how the swimming family can accomplish anything. Over the past year, we have recognized that the biggest challenge for SwimSpray is convincing people that it actually works. 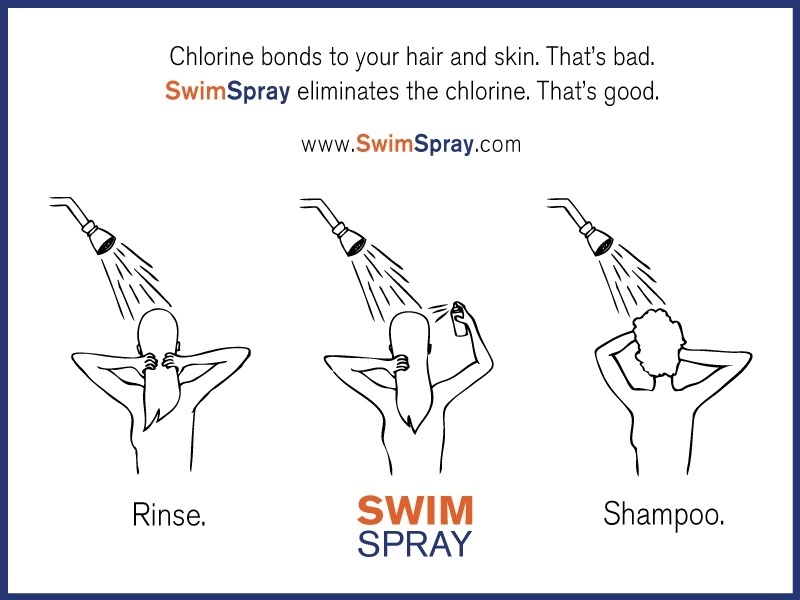 So-called “swimmers’ shampoos,” such as UltraSwim and TriSwim are notoriously ineffective. (You can tell they don’t work because you still smell like chlorine after using them). 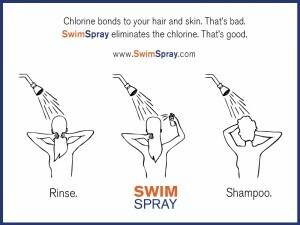 To distinguish ourselves, we wanted to show people that SwimSpray is different because SwimSpray actually works. That’s when we turned to our swimming friends for help. We are proud to say that everything about SwimSpray is a product of the swimming family. SwimSpray was invented and founded by a swimmer. And, SwimSpray is 100% owned and operated by Princeton swimmers. This project was no different. 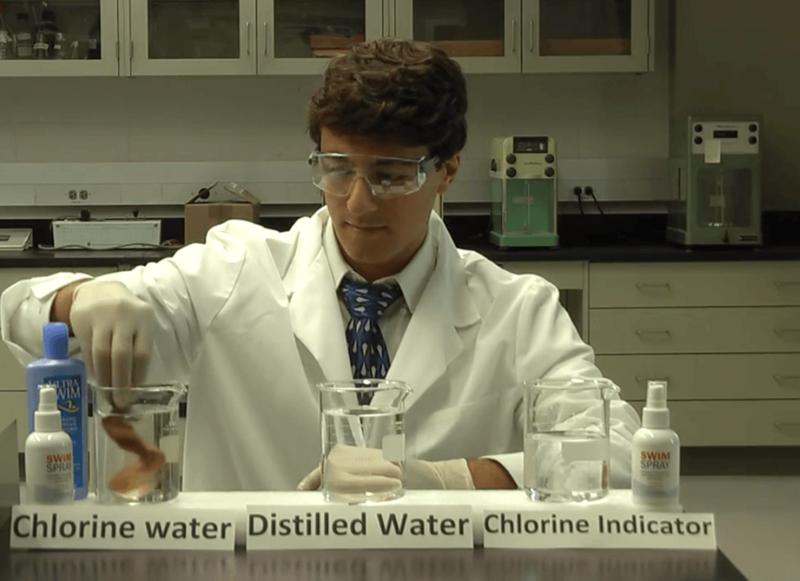 We needed to produce a video showing some of our laboratory results. You guessed it—we turned to our swimmer friends for help. First, to make our video, we sought the help of Fares Ksebati, the club manager and coach for the Grosse Pointe Gators Swim Team. He starred in the video and also did all of the video production work. Next, we needed to find the perfect narrator – someone with a pleasing voice. Remember the younger kids on your old club team? Well, those kids grow up to have really cool careers. In this story, I reunited with Lowell Byers, who was a 10&under when I left for college. Now Lowell is an actor. And just this week Lowell became the new voice of SwimSpray. I didn’t see that coming in 1997. Finally, we needed someone to help us break our story. So, we reached out to Mel Monroe Stewart. Watch out . . . this is where the swim news gets really weird. 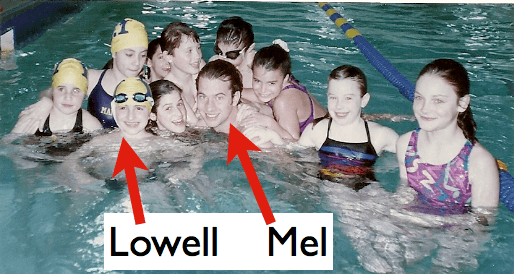 As it turns out, twenty years ago, Mel conducted a swim clinic for the Boys’ and Girls’ Club of Northern Westchester, where Lowell and I swam together. On that day, Mel, Lowell, and I all swam together. (See the swim photo of Mel with Lowell). How’s that for a small world?